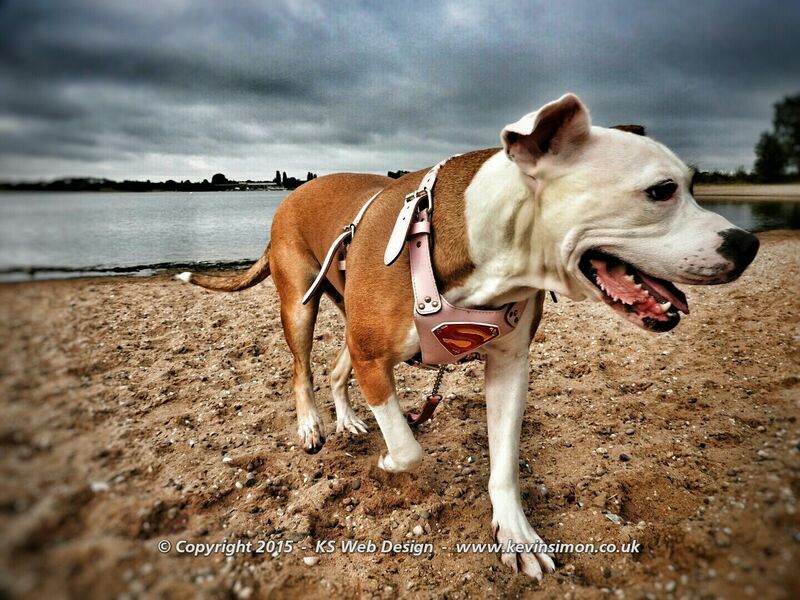 Photo of our dog Abby on walk over chasewater water this morning. She is a 5 year old American Bulldog. Though she is a large dog she is soft as anything, Even small dogs scare her a bit 🙂 she is very playful. Though if you throw anything for her to fetch she will go get it but won’t let you have it back, she finds it a game for you to try to get it back off her. She has a rope ball that she takes everywhere with her.